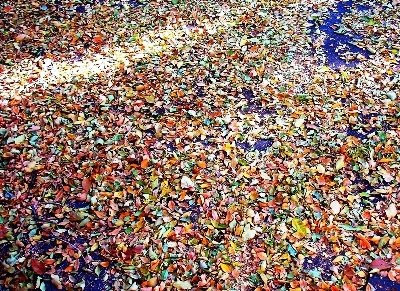 Everything I love about this season was perfectly arranged—in a mosaic way—on the driveway this morning at eight. How many leaves in this palette? I didn't count them all, but it seemed to me there was one for each color. At least the colors I need today. Thanks, Gary, for the inspiration on this one. Sigh. My happiness is now complete.